I hate winter, not only for the cold, but also for how it makes my skin so dry and itchy. To combat dry winter skin, I use new Dial Miracle Oil Body Wash. This new body wash made by Dial is infused with Marula oil and is formulated with Micro Oil Technology to give a luxurious, clean-rinsing lather that leaves your skin feeling clean, soft and smooth. 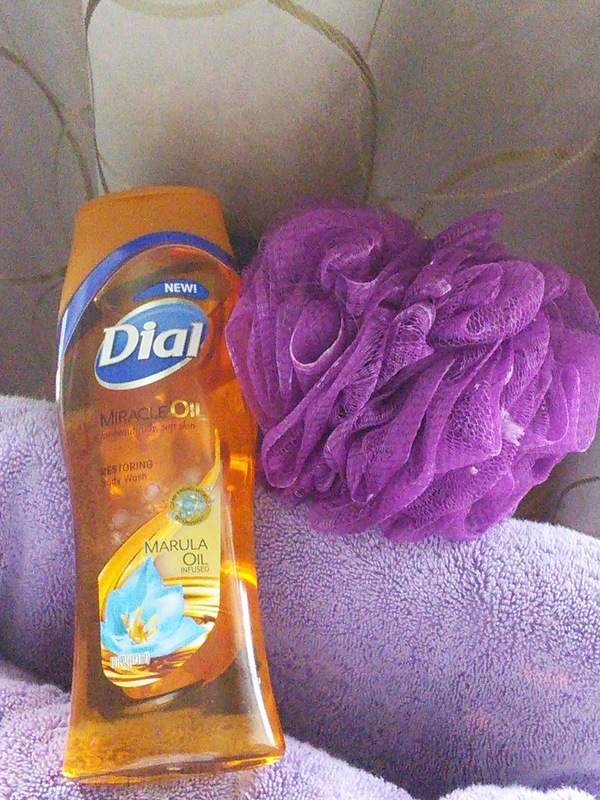 Dial Miracle Oil body wash smells awesome with a light floral scent. I took a shower the other day with it and my shower experience felt like a spa. The body wash gave me great lather and rinsed off completely. My skin felt soft afterwards and I did not feel like itching. You can find new Dial Miracle Oil body wash soon at stores like Target, Walmart, and other stores that carry Dial products. So for soft clean skin try new Dial Miracle Oil body wash. 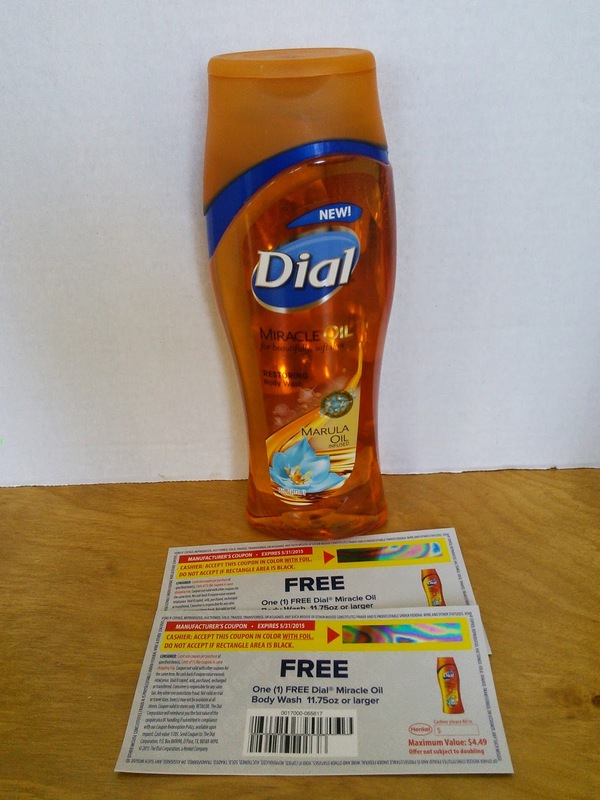 I have two coupons for new Dial Miracle Oil Body Wash to giveaway to one of my readers. Just enter on the form below and good luck! "These opinions are my own and I was sent the above mention product in exchange for a review and giveaway." I would love to try the Spring Water body wash. I would like to try the spring water. I'd love to try the Omega Moisture sea berries! I would also love to try the Pura Fruta Guava & Watermelon Body Wash! I would want to try the Coconut Water & Mango. I would like to try the Mountain Fresh body wash.
Replenishing Body Wash also looks nice to me. I'd also like to try their Omega Moisture with Sea Berries Body Wash. I also would love to try the Omega Moisture With Sea Berries Moisture Rich Body Wash. I would like to try the Pink Salt & Water Lily Body Wash! I would like to try the coconut water body wash. 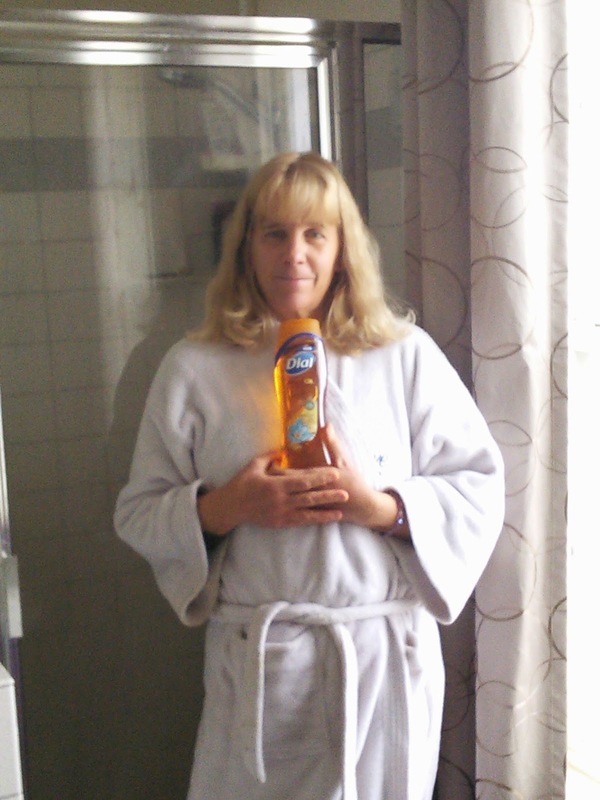 I'd like to try Triple Moisture Shea, Jojoba & Mango Butter Ultra Moisturizing Body Wash. I would love to try the Coconut Water Body Wash. I would like to try the Greek Yogurt Vanilla Honey. I would like to try the lavender and twilight jasmine body wash. I bet it smells amazing. I'd like to try the Frozen Yogurt body wash. I like moisturizing body washes. I'd love to try the Omega Moisture sea berries. I would like to try the coconut water. The Guava and Watermelon sounds really good! I haven't seen that combination before! I want to try the Omega Moisture sea berries, it sounds GREAT!! The Lavender & Twilight Jasmine sounds like something I'd love. I loveee those two scents, especially for showering before bed - so relaxing. I would also want to try the Coconut Water & Mango Body Wash. I'd also like to try the Pura Fruta Guava & Watermelon Body Wash.